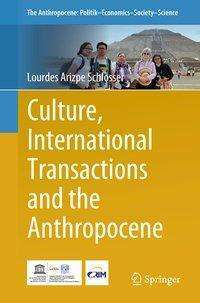 Der Artikel Lourdes Arizpe Schlosser: Culture, International Transactions and the Anthropocene wurde in den Warenkorb gelegt. Culture and Development: the last Frontier or a new Conditionality?.- The Ethnicization of Political Discourse: Civilizational Dialogues vs Cultural Clashes.- Pluricultural Loyalties: Migrants, Expatriates and Ecological Refugees.- Deconstructing a Gendered Historical Discourse about Cultural Misappropriation.- The Paradox of Empathy: Discrimination and Re-indigeneization.- Conviviality and Cosmopolitanism: Building a Sustainable World. This book analyses how global transactions have been progressively conducted and negotiated in the last 25 years. Achieving a new understanding of sustainability transition in the Anthropocene requires a deeper analysis on culture. The development of new positions of international institutions, national governments, scientific organizations, private fora and civil society movements on culture and nature shows how global transactions must take place in a rapidly transforming world. In her book the author provides a multi-situated ethnography of live debates on culture, global environmental change, development and diversity directly recorded by the author as a participating and decision-making anthropologist from 1988 to 2016. She examines the politicization and internationalization of culture by recognizing, negotiating and diversifying views on cultures and re-thinking culture in the Anthropocene. The merging of science and policy in taking up cultural and natural challenges in the Anthropocene is discussed.